25 acres of uplands. 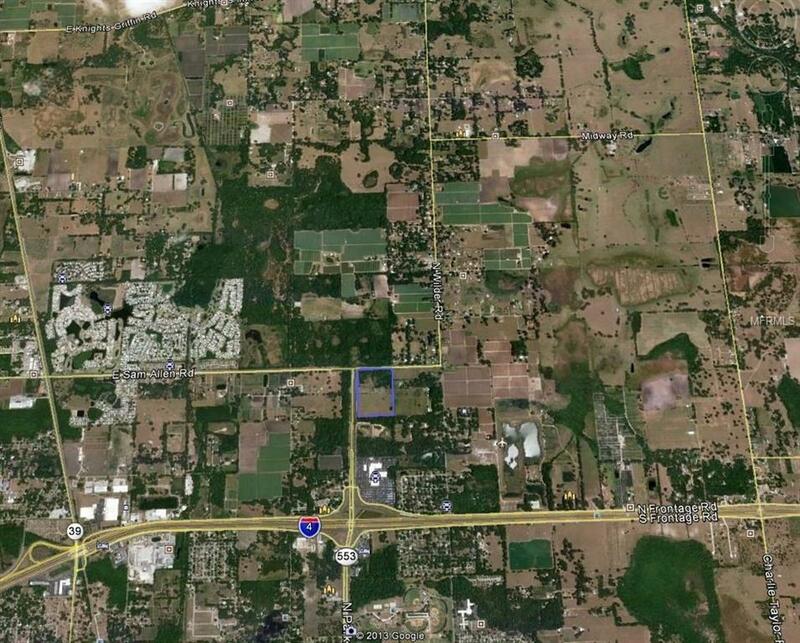 This property at one time was permitted for 17.5 acres of impervious space for a Super Walmart. 1300 ft of frontagealong Park Road exit 22 off I-4. 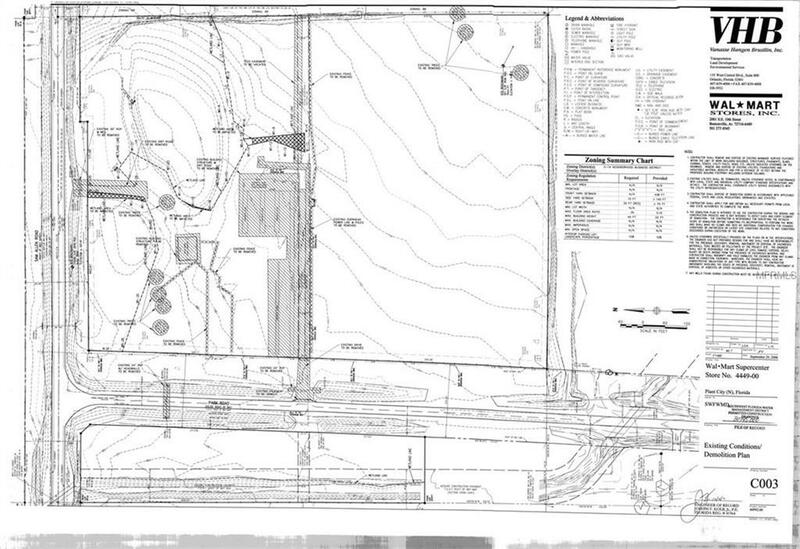 31 acres total / 25 acres of uplands Parcel is zoned C1A Previously permitted for a 200,000 sq ft SuperWalmart Site. ALL utilities are readily available. 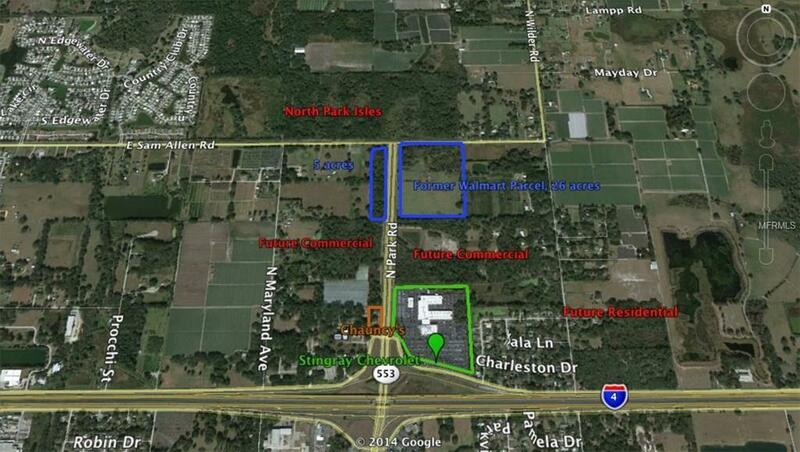 Can be rezoned to RM-20 (20 units/acre, multifamily) or up to 600 unit apartment complexor mixed use. Adjacent to North Park Isles Estates a planned development for 1500 new homes along with Cone Farms a plannedresidential development for 2500 single family homes. Plant City government is pro-growth. 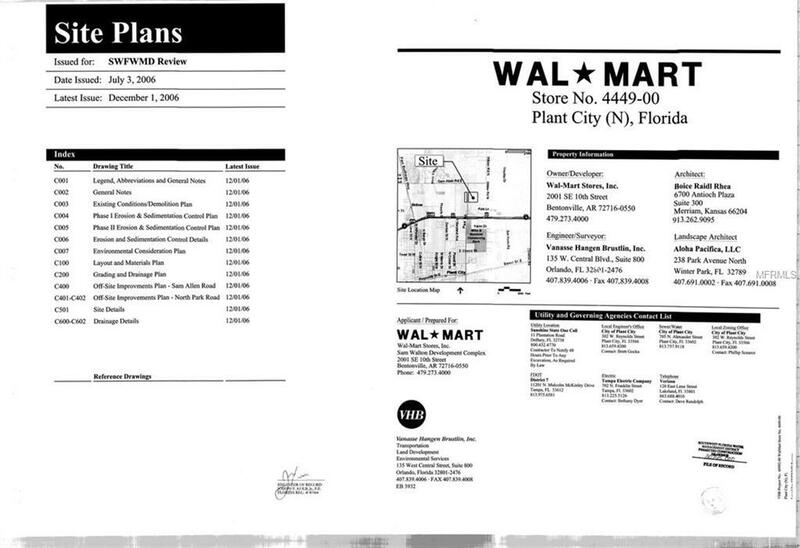 PERMITTED USES: $ Retail and wholesale saleof all normal commercial products. $ Mixed Use Development $ Shopping centers, restaurants (including drive-ins). $ Apartmentbuilding/complex on a single tract of land (excluding single-family dwelling conversions). $ Single-family & duplex dwellings and accessoryuses. $ Nursing, convalescent homes, and ACLFs, subject to standards in Section 102-352(5). $ Hotels and motels. $ Serviceestablishments. $ Business and professional offices. $ Building contractors offices. $ Automotive repair (excluding auto-body repair andmajor-engine repair), filling station, and parking garage $ Automotive sales $ Automotive parts. Listing provided courtesy of Pineywoods Realty Llc.